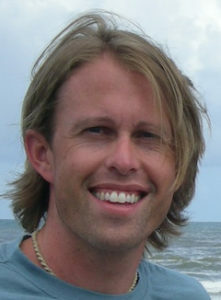 In summary, Dr. Tustison manipulates arrays of numbers with medical relevance; more specifically, as a member of the UVA Medical Imaging Research Department, he develops computational techniques for facilitating quantitation of anatomical and/or functional variability in different populations or over time as a consequence of disease or injury. Areas of active research include various projects with neuroradiology faculty, collaborative pulmonary research using hyperpolarized gases, and the open source dissemination of useful image analysis algorithms. The primary venue for the latter is the Insight Toolkit (ITK) of the National Institutes of Health with which Dr. Tustison has a history of development. Ventilation-based segmentation of the lungs using hyperpolarized (3)He MRI.Tustison NJ, Avants BB, Flors L, Altes TA, de Lange EE, Mugler JP 3rd, Gee JC. J Magn Reson Imaging. 2011 Oct;34(4):831-41. doi: 10.1002/jmri.22738. Epub 2011 Aug 11. Topological well-composedness and glamorous glue: a digital gluing algorithm for topologically constrained front propagation.Tustison NJ, Avants BB, Siqueira M, Gee JC. IEEE Trans Image Process. 2011 Jun;20(6):1756-61. Epub 2010 Nov 29. Point set registration using Havrda-Charvat-Tsallis entropy measures. Tustison NJ, Awate SP, Song G, Cook TS, Gee JC. IEEE Trans Med Imaging. 2011 Feb;30(2):451-60. Epub 2010 Oct 11. Feature analysis of hyperpolarized helium-3 pulmonary MRI: a study of asthmatics versus nonasthmatics. Tustison NJ, Altes TA, Song G, de Lange EE, Mugler JP 3rd, Gee JC. Magn Reson Med. 2010 Jun;63(6):1448-55. N4ITK: improved N3 bias correction. Tustison NJ, Avants BB, Cook PA, Zheng Y, Egan A, Yushkevich PA, Gee JC. IEEE Trans Med Imaging. 2010 Jun;29(6):1310-20. Epub 2010 Apr 8. Directly manipulated free-form deformation image registration. Tustison NJ, Avants BB, Gee JC. IEEE Trans Image Process. 2009 Mar;18(3):624-35. Epub 2009 Jan 20.